Brown In-Person Presenting The Cook, The Thief, His Wife, and Her Lover, Big Night, God of Cookery, and more! 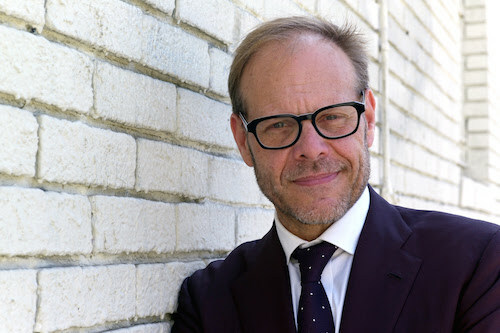 On Saturday, November 12 and Sunday, November 13, Metrograph will present "Food-On-Film: A Weekend with Alton Brown." Although Brown is known mostly for his work in food media, his first career was as a filmmaker. He worked as a cinematographer back in the good ole days when film was film, and video was for the six o’clock news. His big break came when he shot the music video for R.E.M.’s "The One I Love,” which allowed him to transition to directing commercials for everything from tires to seed corn, before deciding to head to culinary school to get the background for his show Good Eats (which ran for 14 years and earned a Peabody). During all his years of food work, Brown has kept a running list of his top food films in the hope that one day he could host an actual “food on film” festival. Then he discovered Metrograph. Now he’ll be hosting "A Weekend with Alton Brown," right before his live show, Eat Your Science, debuts on Broadway.